Young Germany explores the revolt of the younger generation in Germany from 1896 to 1933. 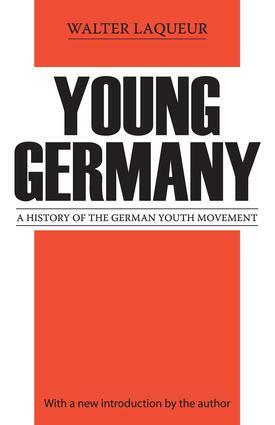 It is a readable history of the Free Youth Movement, one of the most significant factors in shaping modern Germany. Laqueur, who grew up in Germany, retraces the history of the movement, its central ideas, and its cultural background.Today his study is of even greater interest and importance than when it was first published in 1962. In his new introduction to this edition, Laqueur shows that the German Youth Movement can be seen as a precursor of contemporary youth revolt. It inspired all of the ideas which continue to preoccupy proponents and students of generational conflict today.